Dr. Jürgen Bühler demonstrates some of the deeper, surprising regional trends in the Middle East and how Israel's standing is changing for the better (pp. 4-6). 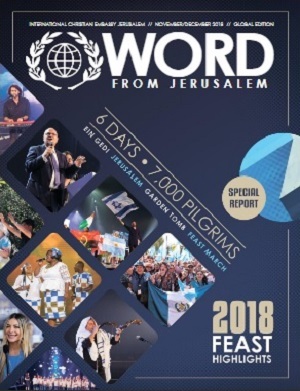 Enjoy the journey as you read each of these articles displaying God's hand moving powerfully here in Israel and in the nations. 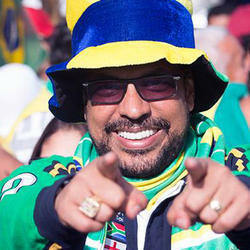 A key issue in our times and in the time up to our Lord’s coming is the battle for truth. Dr. Jürgen Bühler tackles this important issue head on, as he digs into the workings behind demonic deception and how to withstand the assault against biblical truth (pp. 4-6). 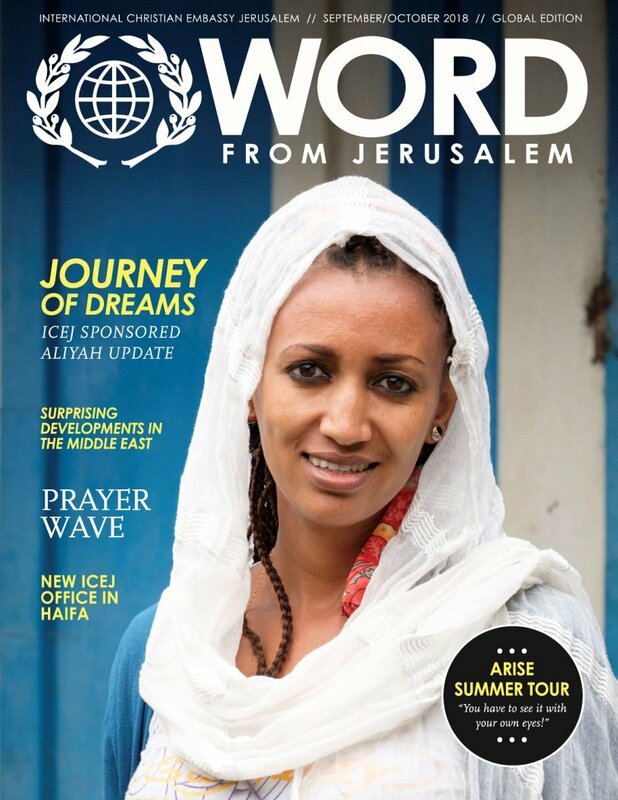 The ICEJ is also excited to report on its new global prayer project, “The PrayerWave” (p. 10) and our new Cyrus Award, which has been given in connection with embassy openings in Jerusalem (pp. 14-15). 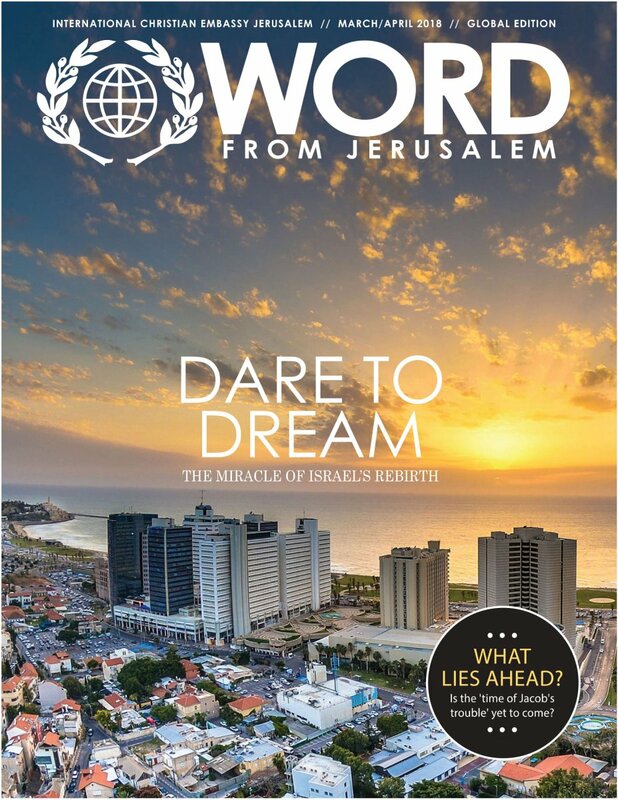 Be inspired reading about the ICEJ’s one-of-a-kind gift to Israel, as Dr. Jürgen Bühler lays out the vision for the new 24/7 global prayer wave. 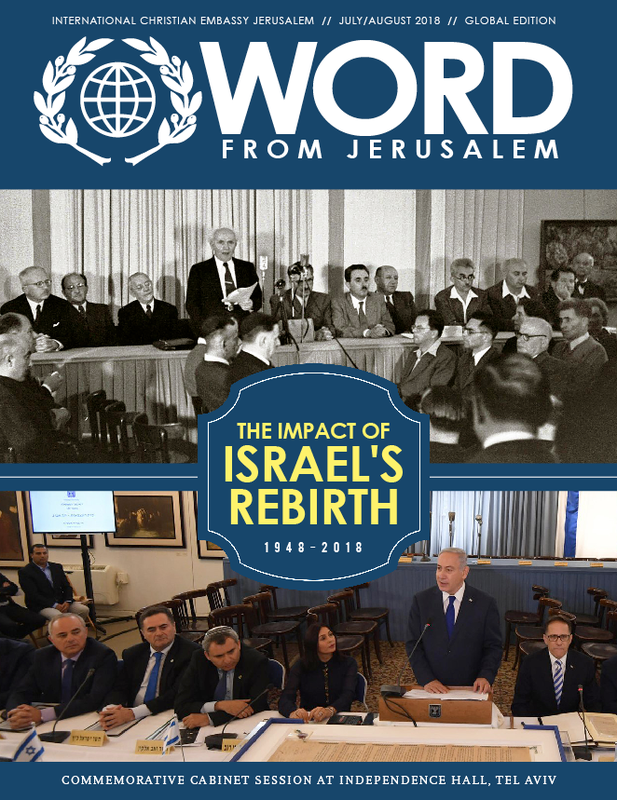 Gain historical insights from David Parsons’ writing on some of the remarkable contributions Christians have made in the founding of the Modern State of Israel – from the corridors of power to the fighting on the battlefield. 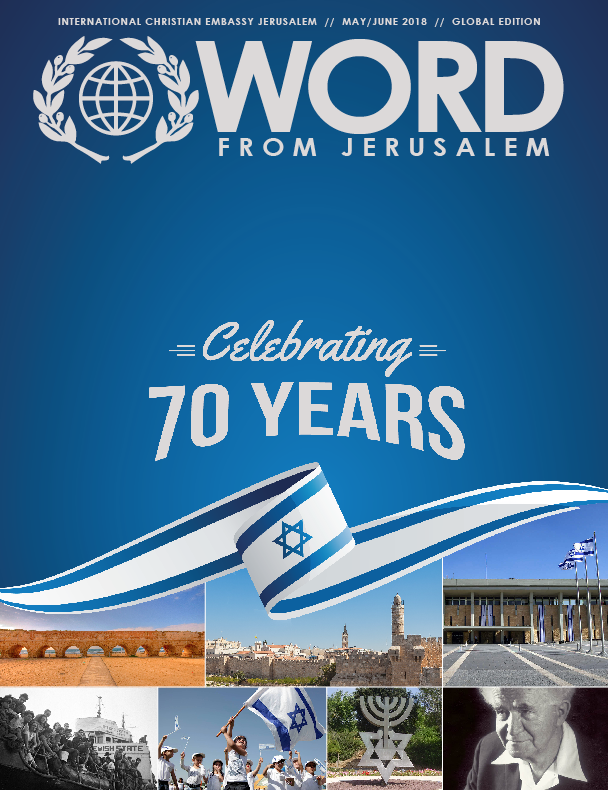 Get a taste of exciting new projects such as the Yad Vashem educational center at Israel’s largest desert base in the Negev; discover how an Israeli app is making a big impact for small African farmers; and understand how the ICEJ is strengthening the people of Israel through its AID work and mustering global support through its public diplomacy. 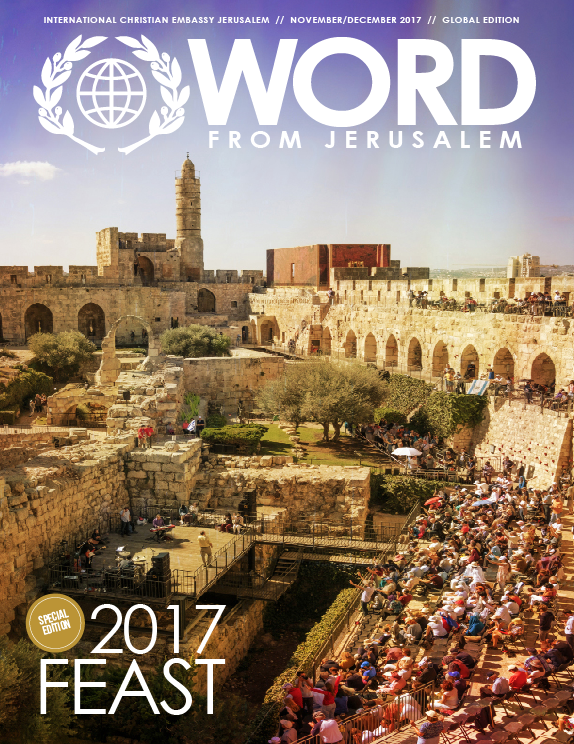 The Trump administration's landmark decision to recognize Jerusalem as Israel's capital set new things in motion. 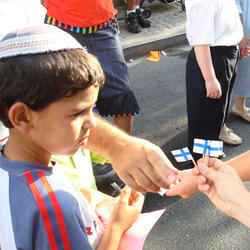 Read Dr. Jürgen Bühler's observations on the remarkable jubilee cycle that God is fulfilling for Israel and Jerusalem. 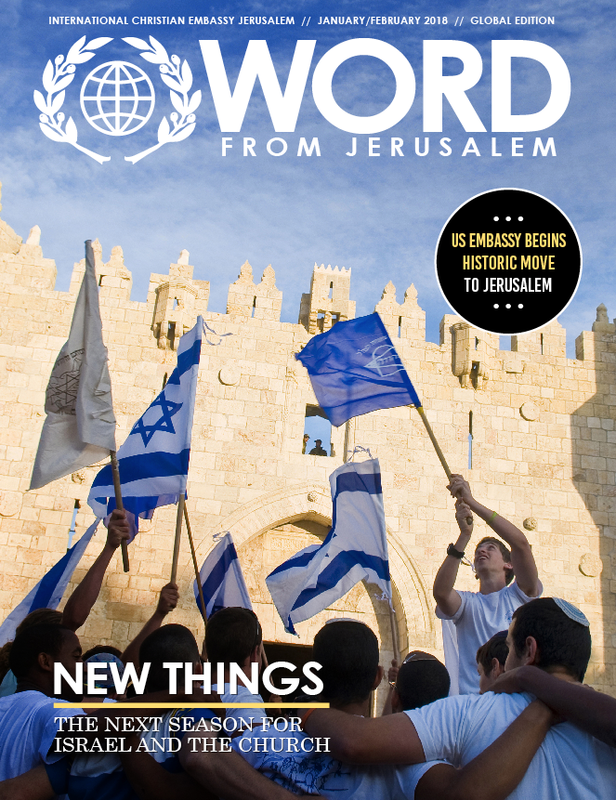 Gain further understanding of the controversy over Zion reading David Parson's making the case for Jerusalem and read updates on ICEJ projects in Israel and war-torn Syria.